Each of our beautiful outdoor seating sets makes it easy to entertain guests and to make memories from the comfort of your own back yard, back porch, or deck. 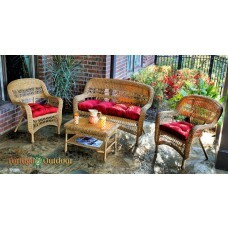 Shop your choice of chair sets with conversation tables to chair and ottoman sets, outdoor loveseats, and outdoor sofas, each ready to serve your unique tastes and your unique needs. 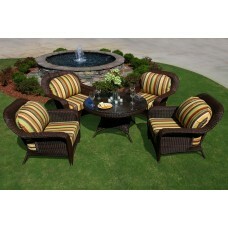 Scroll down to see all of your options below, and bring home your outdoor seating set today. 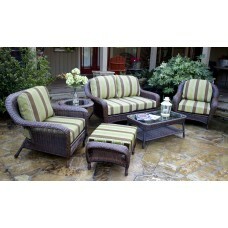 Deep seated Lexington sets, Adirondack chair sets, and full scale outdoor living rooms -- we've got them all. Each of our outdoor living room sets creates a high class, easy living atmosphere that is perfect for laughter, fun, and entertaining in your own back yard. Each of our outdoor dining sets is made out of high quality, durable materials capable of handling the rigors of almost any climate, including synthetic resin wicker or POLYWOOD, which means they shrug off water damage and UV damage with ease. 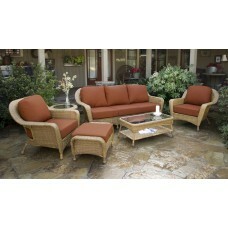 Many of them come with color coordinated outdoor-ready cushions too. It's easy to find the colors and styles that will make you smile and to create an easygoing staycation spot in a matter of moments. You can enjoy free shipping, too! 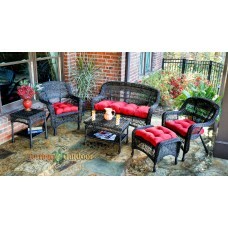 Shop the full selection above, and order your new outdoor seating set today.